Once you’ve decided to move ahead with a reference marketing program, the first thing to do is determine your objectives. Of course, you want to increase sales, but there are a lot of other benefits you can derive from reference marketing. Making a list of your goals for your reference marketing program will help you to define your program, and – more important – allow you to measure your progress against these milestones. Having measurable metrics is by far the best way to demonstrate the business value of a reference marketing program. Most objectives are easy to define, as they tend to be closely related to the sales process, or your corporate reputation. You can set them on different levels, depending on the complexity of your program and the number of parties involved. Keep in mind that most customers want to be leveraged, and they like being showcased to their peers. They also like to see their vendor succeed in the market, knowing that this success reflects back on them. Another important aspect to consider is language. If your company operates across national borders, your customers will be located in different countries, and speak different languages. Ideally, you’ll be able to conduct interviews and produce videos in your customers’ native languages. Having access to a global network of copywriters and videographers will allow you to produce customer reference stories from all over the world. International Mother Language Day, celebrated on February 21, is a good reminder of the importance of honoring linguistic and cultural diversity. Ready to define the objectives for your reference marketing program? 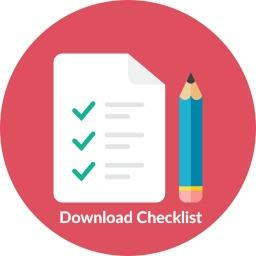 Click the button below to download a list of possible objectives, on both the customer and corporate level, that you can adapt for your program.